Thanks to some new pools submitted by swimmers like you, Swimia.com is increasing in the every day number of stored pools. Please don't hesitate to make contact with us if you come across any Guam Swimming Pool with inaccurate or incomplete details. 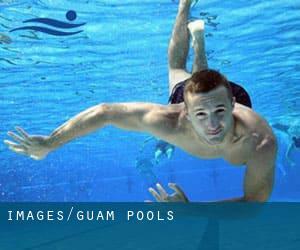 Most in the Guam Pools offer you both open lanes for independent swimming and also guided activities like water aerobics or Aquabike. Do you know of any Pools in Guam that need to be listed here? Contact us!. Swimia.com requirements your feedback on Aquagym in Guam to ensure all the facts about swimming in Guam is valid. Before trying any pool, make sure you know the rules and regulations for Guam Pools as they may not be precisely the same as in your home town. We suggest you contact the pool directly to ask if you ever will require a hat, and what style of footwear or certain clothing you will need. Going to a Guam Swimming Pool is increasing specifically within the elderly population sectors of Guam, who have suffered some style of muscle or bone damage. One in the advantages of outdoor swimming in Guam is the possibility to sunbathe for the duration of the summer season. Taking it with added care, sunbathing is healthy due to the fact introduces Vitamin D into the body, so the most beneficial option seems to be switching between indoor and outdoor pools depending on the season. Let us tell you a secret to switch off while you are in Mangilao Village: just select a Swimming Pool in Mangilao Village and plunge into the water! There's no far more helpful system. Holding an estimated population of 44.943, Dededo Village is one of the most important cities in Guam. Check all the Swimming Pool in Dededo Village and its surrounding area. Whereas Tamuning-Tumon-Harmon Village is among the six most populous cities in Guam with nearly 19.685 residents, you shouldn't miss that one if you're going to Guam. Without a shadow of a doubt, swimming in Yigo Village may be the ideal solution to unwind immediately after work. Take a couple of minutes to browse Swimia's catalog to find a Pool in Yigo Village. Next to the Youth Center , Anderson Air Force Base . Among all of the activities offered by the center, for anyone who is interested in swimming you might take pleasure in 25 meters, Outdoors. Just in case you desire to get in touch with this Pool before dropping by, we only know the phone number. Updated on 2019 210 Pale San Vitores Road , Tumon Bay (Postal Code: 96911). This sports center offers 20 meters, 5 lanes, Outdoors. Contact details for this Swimming Pool which include phone number and e-mail address are number. E. O’Brien Dr. , Hagatna (Postal Code: 96910). Swimmers like you reported Olympic size x 25 meters + 25 yards, 8 lanes, Outdoors. Unfortunately we do not have the email address of this Swimming Pool, but we can give you the phone number.